L'AFFAIRE SAINT-FIACRE - Death of a Countess - Maigret and the Countess - Maigret goes home - Maigret on home ground - The Saint-Fiacre affair - Georges Simenon, 1932 (Cap'd'Antibes). This story-analysis as been revised after a survey on site in Paray-le-Frésil (September 2003). "A crime will be committed in the church of Saint-Fiacre during the first mass on All Souls." That is the message received by the police force of Moulins which, on their turn, informed the Criminal Investigation Department in Paris. Maigret goes on the spot at once because he was born and passed his childhood in Saint-Fiacre where his father was manager of the castle. He attends the mass during which the countess of Saint-Fiacre dies of a heart attack. The police chief however discovers quickly that this death was caused by a violent emotion. He finds, in the missal of the countess, a forged clipping of the local newspaper of Moulins, announcing the death of Maurice de Saint-Fiacre, son of the lady of the manor. However, this one has just arrived from Paris at the village, where he intended to ask his mother, like usual, the money necessary to pay its debts. The investigation, leads to the castle, the village and the nearby town of Moulins. Maigret The atmosphere that surrounds the inquiry is arduous and poignant, because Maigret, remembering his childhood with nostalgia, realizes that things changed much in 35 years. The estate is but a shade of what it was in the time when the father of the police chief administered it. Sales of parts of the property followed one another since the death of the old Count of Saint-Fiacre, to cover the insane spending of Maurice, who leads a sumptuous life in Paris. Moreover the countess herself is swindled by the many "secretaries" who were as much successive lovers. 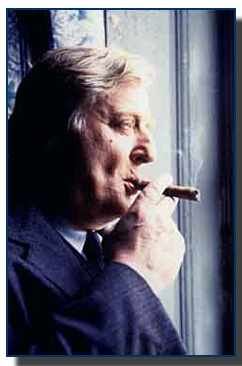 The last one of those, Jean Métayer, is feeling suspected and calls upon a lawyer whose conceitedness irritates Maigret. 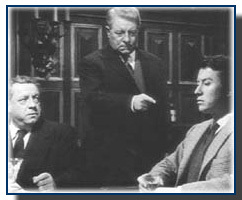 Nevertheless, the police chief does not arrive at any positive result and he is forced to wait, to know the culprit, until Maurice de Saint-Fiacre organizes a dinner to which are invited, in addition to the characters already mentioned, the priest, the doctor and the current manager and his son. All possible murderers. Maurice de Saint-Fiacre carries out a subtle play to which Maigret can only be a witness. This lugubrious scene ends in a dramatic unveiling of the assassin. It is the son of the manager, Emile Gautier, who acted with his father as an accessory. The father repurchased, underhand, the grounds that the lady of the manor had to sell. This way, the family of the manager hoped to become at one time owner of the estate of Saint-Fiacre. Maigret was born in Saint-Fiacre and lived there until he was 12-years old. According to this novel and Les memoires de Maigret (Maigret's Memoirs) Saint-Fiacre is a very small village in the Allier department, 25 km (15.5 mi.) East from the town of Moulins. There are five villages in France with Saint-Fiacre mentioned in its names but not one of these lies in the Allier department and is situated as described in Simenon's novels. It is well-known that Simenon chose to set Maigret's birthplace in a village that was very familiar to him. In May of 1923 Simenon went to work as a private secretary for the Marquis deTracy. This nobleman was the owner of an estate in Paray-le-Frésil. Simenon worked for the marquis for a year and spend a lot of time in this castle. 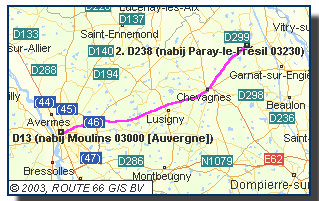 And, sure enough...Paray-le-Frésil is situated 25 km East of Moulins in the department of the Allier. For more information on the localities go to the Travel Log. 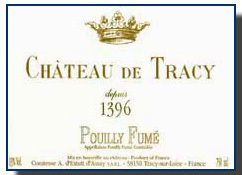 Marquis Raymond Destutt de Tracy, a notorious anti-republican and fervent royalist, was the owner of a large fortune and several estates: vineyards in the Loire-region an estate in Tracy-sur-Loire and in Paray-le-Frésil, a luxury apartment in de Rue La Boétie in Neuilly (Paris) and a right-wing newspaper called "Paris-Centre" in Nevers. He was a 45-years old, eccentric man. He hated horses, loved cars, lived at night and never talked to his children. His wife is due to dine with him every evening, but he is convinced that a wife can never be part of her husbands life. Therefore he forbids that Tigy, Simenon's wife, lives together with Simenon and follows him on their journeys. Tigy has to stay in a nearby inn and they have to meet in secret. Living in the company of this man, who is seen by his subordinates as difficult and tyrannicall, has certainly his annoyances but it is also educating and inspiring. Simenon will use these experiences time and time again in later novels. And probably no one has to thank his Christian name to this Irish monk. It will get obvious why. Saint-Fiacre (Fiachrach; Fiacrius; Fiaker; Fevre) lives in the 7th century and moves from Ireland to France to establish a monastery. The bishop of Meaux tells him he can have all the land he can enclose by digging a ditch around in one day. Fiacre walks for one day, drawing a line on the ground with his staff. Behind him the ditch digs itself. A miracle of course. Within this outline he founded his monastery and the gardens for growing the healing herbs and plants he was already famous for in Ireland. This explains why he became the patron of gardeners and is always depicted with a spade. After his death pilgrims visited the monastery to be cured from a multiplicity of diseases, but, in his miracles the saint specialized in urology and proctology. Above all he was an expert on hemorrhoids, sores on the genital parts and venereal diseases. Could this be why nobody is called Fiacre? Hopefully it wasn't Simenons motive to name Paray-le-Frésil Saint-Fiacre. There is a more plausible explanation for that. All Maigret-devotees know that Simenon's protagonist has a special relationship with Paris taxis and Paris cab-drivers. Mutual respect and understanding of each others predicaments forms a special connection between the two professions. Saint Fiacre is also the (unofficial) patron of Paris cab-drivers. The seventeenth century "Hôtel Saint Fiacre" offered the service of coaches to his customers ( a kind of precursor of to-days limo-services). These high-wheeled vehicles were specially build to find their way true the streets of Paris that, in that time, were filled with mud. After a while all coaches for hire in Paris were called "Fiacres". It seems possible that Simenon, searching for a name for Maigret's birthplace, thought of his fondness for Paris cabs and so decided on Saint-Fiacre. Far-fetched? 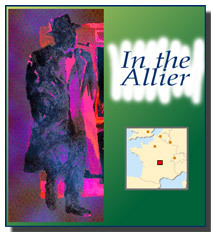 - Composition of a drawing of Maigret's silhouette from the cover of: Georges Simenon, "Maigret hesite", Presses de la Cite, Paris and map on http://www.1bis.com/1bis/. Design G. de Croock. 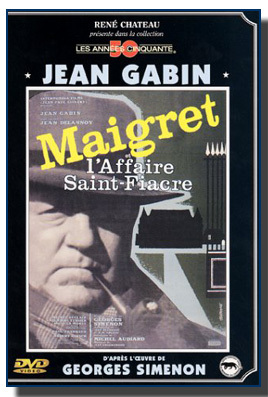 - Film poster Maigret et l'Affaire Saint-Fiacre, 1959. director: Jean Delanoy, Maigret: Jean Gabin. - Photo Bruno Cremer in Maigret et l'affaire Saint-Fiacre, France 2/Dune/ Filmes Do Tejo/RTBF/Télévision Suisse Romande/ Ceska TV (French). 1994. From: http://www.ivc-library.com/details/IVCF-283.html. Website of the University of Québec. de SIMENON, GEORGES Editorial:TUSQUETS EDITORES, Lengua: CASTELLANO, Encuadernacion: Rustica. - Cover: : https://eurbook.securesites.com/hyper.html European Book Company. - Cover: Presses Pocket, Paris, 1984. - Map by:Route 66, Route Europa 2000, Copyright Route 66 Geographic Information Systems B.V., Ede (NL). Adaptation by G. De Croock. - Photo of Simenon, Tigy and the Marquis de Tracy, from: http://www.france3.fr/semiStatic/390-1295-NIL-200760.html,documantary: " Simenon, Maigret et le Marquis van Jacques Tréfoul. francetélévisions interactive. - Photo statue Saint-Fiacre from: http://www.catholic-forum.com/saints/stf13com.htm, From the website : The Catholic Community Forum. 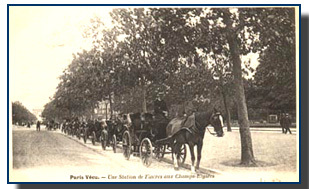 - Postcard, "Station de Fiacres, Paris, from: http://perso.wanadoo.fr/com/, webpage: La page de Laurent. 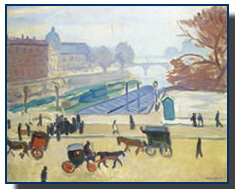 - Reproduction of painting: Albert Marquet, (1875-1947), Les fiacres sur le pont neuf, Paris, 1906. Huile sur toile. From: http://www.rossini.fr/rossini.asp Maison de vente Rossini, Copyright © 2001 Rossini. (1) Translation and compilation from: Maurice Piron, L'Univers de Simenon, Presses de la Cité, Paris, 1983, p.281. Translation of excerpt: G. de Croock.